We’re told over and over how important our first chapter is. 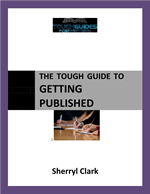 It’s the one you’re asked for by agents and editors, it’s the one people sneak a peek at in the bookshop, it’s the one you’ll put on your website as an extract to get readers to buy it … That’s a lot of pressure on one small chapter! But the bottom line is this is the reality today. We can’t afford first chapters that spend all their time describing characters or setting, or are nothing but setup for the story that starts around Chapter 3. So here are the things you should look out for when you’re critiquing someone’s first chapter – or if you want to give your own a good hard look. What do you give the reader in the first line? A hook? A sense of voice or character? An immediate bit of action? What does your first paragraph (or 10 lines) provide? At the very least, you should have these things: a sense of voice, setting, character, action, and at least two hooks. Even a strong voice or character can be a hook. Ask yourself what is in there that would keep someone reading – underline each hook. Do you provide a sense of action? Of the story already starting to move forward? Time to look at Chapter One again? (A flashback in Chapter One is usually a mistake.) Do you continue to have hooks and story questions that intrigue the reader and make them want to keep reading? Have you put the main (viewpoint) character front and centre? Is it clear to thereader whose story this is? Have you presented the first story problem for the main character? It may not be the story problem/question that drives the whole novel, but it will be something for the main character to wrestle with straight away. Have you woven setting and details into the story to create a real sense of place, without info dumps? Have you used dialogue well, to show character and provide action and characters engaging with each other? Have you ended your chapter on a cliffhanger? Key question! At the end of Chapter One, does you reader desperately want to keep reading to see what happens next? There is a very good book by Les Edgerton – Hooked. 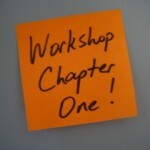 Les believes that if you get your first chapter working 100%, it becomes a blueprint for the rest of your novel. Everything you need for the novel is in Chapter One, and then you just keep writing. He talks about the story-worthy problem, which I agree is a key element. Too often I see writers being way too kind to their characters and dropping the ball on the story problem. What are the things you wrestle with in your first chapter? Really practical advice in this. Totally agree with Sherryl. Often the final version of Chapter 1 is the last written, because it has been ‘tweaked’ so much, and was really about Chapter 4 in the original draft. You’re right, Hazel, I’ve done that myself. Often we start with a “runway” that gets us into the story and writing up a storm,, but later it has to come out. All of it! I find opening chapters really hard in SF. I want to start with something familiar and have the reader follow the main character into the unusual world rather than bamboozle the reader with the science and alien landscapes that are part of the main problem and risk scaring them off by not giving them a chance to relate to the character before the action. I think this is a problem a lot of speculative fiction faces and it sometimes feels slower to start unless you introduce some kind of minor problem, and that might feel artificial. Also, how do you feel about starting with a flash forward into the future as a hook? Either forward or back is a problem, Bren, because it’s not the actual story, and some readers can feel tricked or misled. If it was a real action scene that provided hooks and story questions, maybe, but you’d need to signal it clearly to the reader – maybe with a date or something? Isn’t that the thing that a lot of people turn into a prologue? I know some readers hate prologues but it depends how you do them (and if they are vital to the story). It is fairly prologuish in nature, but fantasy is probably the only genre where most readers like prologues so I’ve run into a dead end there too. I’ll have to get some feedback from some readers before I figure out what to do with it. So your list is terrific. I think I’ve rewritten Chapter 1 of my current novel three times so far, and I haven’t finished the novel yet! Glad the post was useful to you, Sheryl.